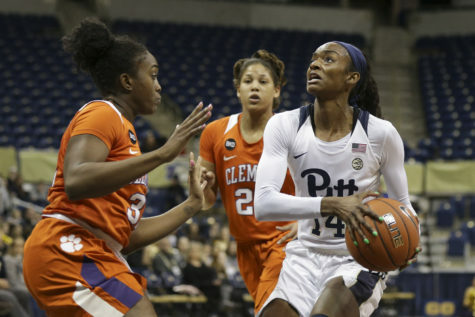 The Pitt women’s basketball team traveled to West Virginia Thursday night to rekindle the Backyard Brawl rivalry that had been inactive since 2012. 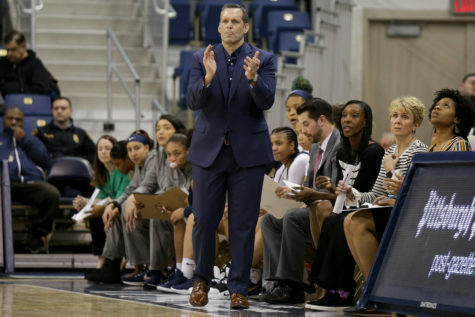 The Panthers were outmatched by their Big 12 opponent, however, and fell to the Mountaineers, 73-52. 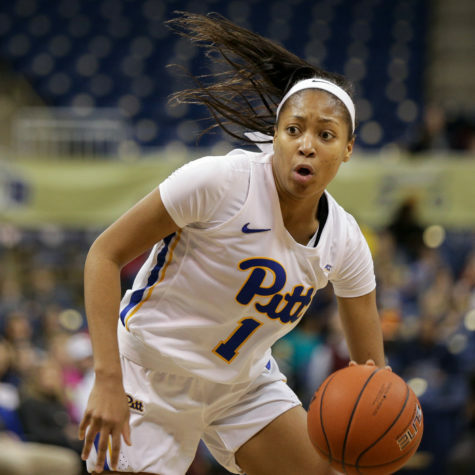 Pitt (5-4) entered the game riding a two-game losing streak after close losses to Wisconsin, 58-57, and Fordham, 58-55. 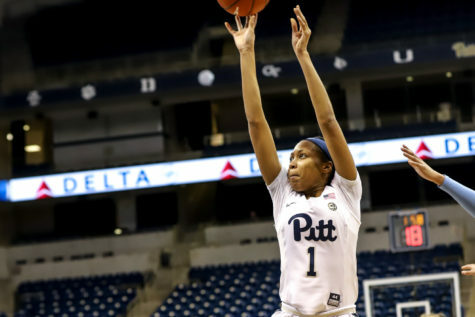 In their last nonconference away game of the season before entering ACC play, the Panthers shot just 34 percent from the field in the loss to undefeated West Virginia (8-0). 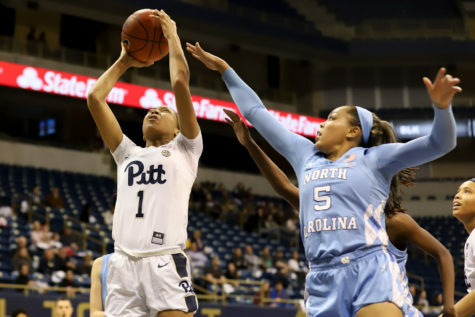 The Panthers quickly fell behind, going the first three minutes without scoring while allowing the Mountaineers to rattle off 12 straight points. First-year guard Kyla Nelson got Pitt on the scoreboard with a layup, making the score 12-2. Pitt never led in this game after getting down early. The team’s slow start — the Panthers made just five of 15 shots in the first period — created a deficit that lasted the rest of the contest. 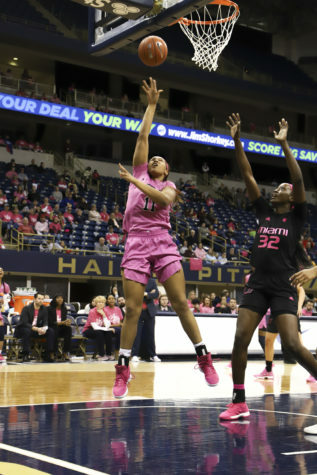 West Virginia continued to build its lead behind the 3-point shooting of senior forward Teana Muldrow — the Big 12 leader in points per game — who led the Mountaineers with eight points and two 3-pointers in the first quarter. Pitt allowed West Virginia to make four of eight 3-pointers in the period, causing the Panthers to trail 26-13. After two baskets by redshirt junior Yacine Diop and two free throws by junior forward Kauai Bradley to start the second period, the Panthers managed to trim the deficit to single digits, 29-20. When Bradley sunk a 3-pointer halfway through the quarter, Pitt trailed by just six points, 29-23. That was the closest Pitt would come to West Virginia’s score. 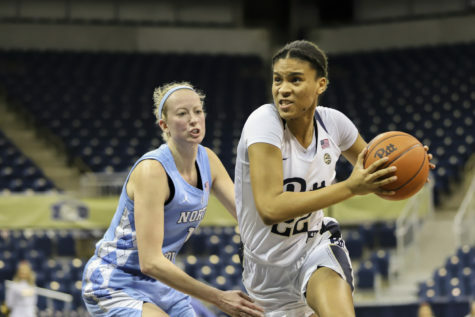 Pitt held West Virginia scoreless for more than five minutes in the second quarter, but a 3-pointer by junior guard Katrina Pardee ended the Mountaineer dry spell and widened the lead once again, this time to 32-23 with five minutes left in the period. The Panthers, in turn, went on a five-minute scoring drought to end the half, giving the Mountaineers a 36-23 halftime lead. As a team, Pitt shot a weak 28 percent from the field in the first half. Nelson led the Panthers in scoring with eight points, followed by Diop with seven. 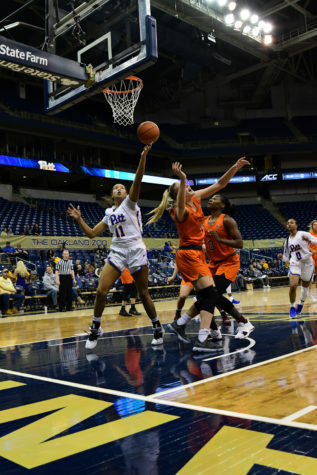 The two teams exchanged buckets to start the second half, with junior center Kalista Walters scoring two layups to keep Pitt afloat. Junior Pitt guard Cassidy Walsh hit a 3-pointer to close within 14, but that’s as close as the Panthers got for the rest of the game. The Panthers let Pardee knock down an open 3-pointer — her third of the game — to take a decisive 17-point lead, 48-31 with three minutes remaining in the third quarter. Pardee managed to hit another three on the Mountaineers’ final possession, which Nelson answered with a midrange jump shot. 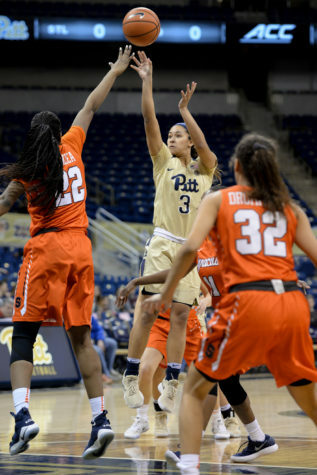 But when the buzzer signaled the end of the third period, Pitt trailed 55-38, making a loss all but inevitable. The Pitt duo of Diop and Nelson continued to carry the scoring load for the Panthers in the fourth period, chipping in nine and four points, respectively. They were still outpaced by the Mountaineer tandem of Muldrow and junior forward Naomi Davenport, who combined for 14 more fourth-quarter points. 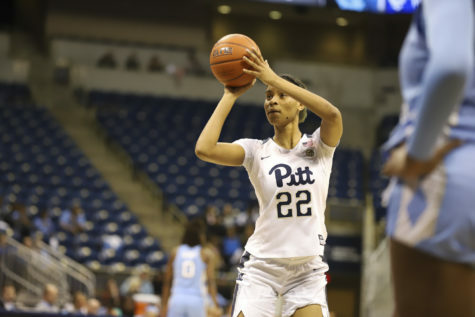 The Mountaineers outscored Pitt, 18-14, in the fourth quarter to hand the Panthers a 73-52 loss. Diop finished as the leading scorer for the Panthers with 18 points as well as seven rebounds, while Nelson was next with 14 points. 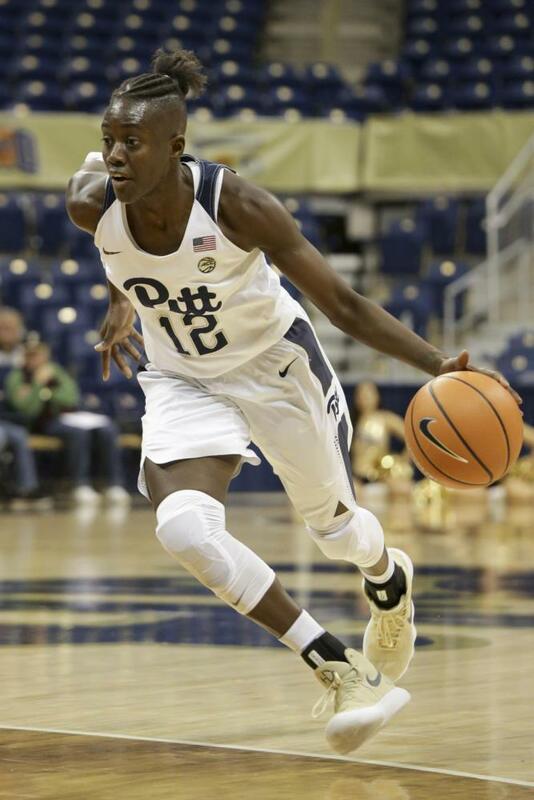 No other Pitt player cracked double digits. For the Mountaineers, Muldrow finished with an even 20 points, marking the seventh time through eight games she’s reached the 20-point mark. Pardee was second on the team with 15 points — all resulting from 3-pointers. The Panthers will seek to snap their three-game losing streak when they host UNC Wilmington at the Petersen Events Center Saturday, Dec. 9, at 1 p.m.